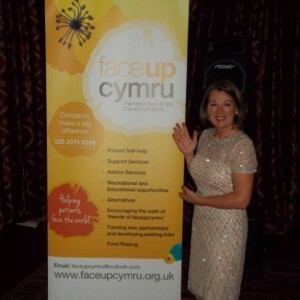 Kilimanjaro Fundraiser raises 10K for Faceup Cymru!! On behalf of Faceup Cymru can I thank everyone who attended the Kilimanjaro fundraising dinner & dance on Friday night and making it such a memorable and enjoyable evening. The event was sold out, 20 tables and 191 guests enjoyed a three course meal, charity auction and raffle followed by dancing until late into the night. I would like to thank each and every person I approached looking for auction prizes for their generosity and support and am delighted to report that the auction made £3720. Thank you also to the generous and kind hearted auction bidders and auction winning bidders who made that total so amazing. In addition I would like to thank every person who supported my request for raffle prizes and for all the guests who purchased raffle tickets. I would also like to thank my daughter Anneka who kindly placed 5000 raffle tickets in 200 envelopes and then folded each and every ticket in preparation for the draw. I am delighted to announce the raffle made £1775. 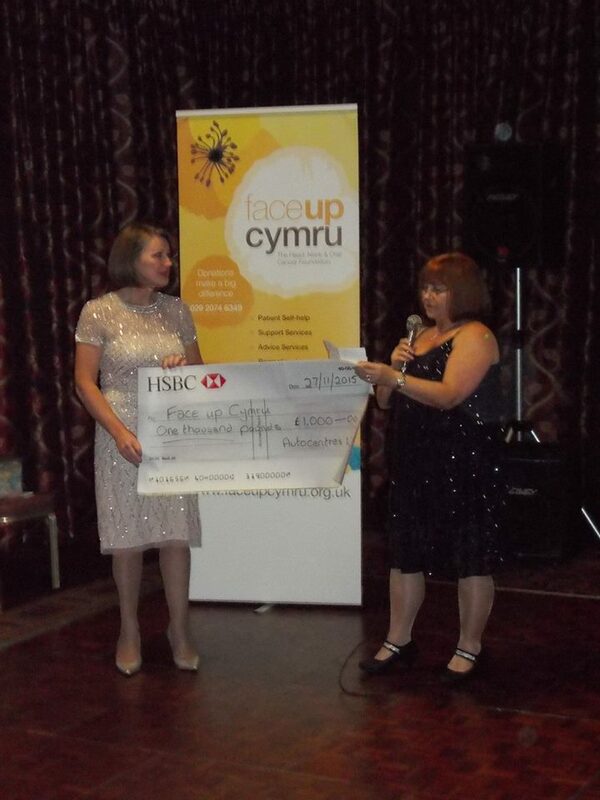 Caroline Turner on behalf of Usk Farmers Club Committee kindly nominated my Kilimanjaro Challenge for Faceup Cymru as the recipients of their 2015 charitable donation and made a presentation towards my fundraising on the evening for £800. In addition, Autocenters Limited, Queens Hill, Newport presented a cheque for £1000 towards my target and supported me during the evening by hosting the auction, a task made difficult by the only malfunction of the night, the volume of the function rooms audio system didn’t stretch to the back of the room and guest couldn’t fully hear the auction leaving poor Alex Richardson to shout and leave the evening with little or no voice. I have been overwhelmed by support and generosity and positive feedback form the evening and have been asked to consider making the event an annual one, of which of course, I would be delight to do.